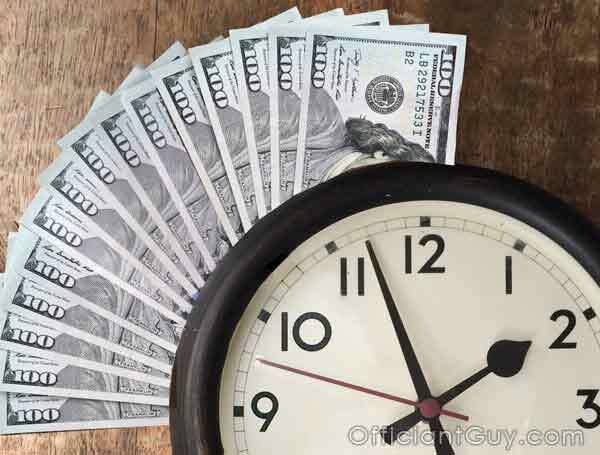 Officiant Guy > Officiant and Marriage License – What’s Your Time Worth? Officiant and Marriage License – What’s Your Time Worth? LA Marriage Officiant on TV Again! What’s Your Time Worth was a reality TV show that showed ways that people could save time. The Officiant Guy, an LA marriage officiant, was asked to be on television again! Officiant Guy appeared on the TV show “What’s Your Time Worth?” which was on the Fine Living Network. 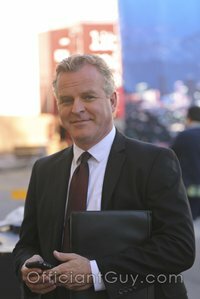 This television show is about saving time in our busy lives and of course, Chris, is a master at that, being one of the most popular marriage officiants in Los Angeles. He provides wedding licences for many couples who are getting married so that they don’t have to be frustrated and upset with the county bureaucracy and long lines at one of the few, overloaded county clerk’s offices. 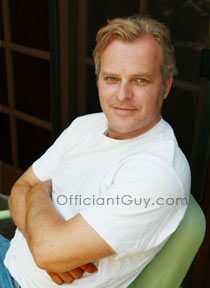 The Officiant Guy is the leading wedding minister in Southern California. If you want to get married throughout LA County or Orange County give the top LA marriage officiant for weddings in LA County or Orange County a call at (310) 882-5039 or (562) 547-3255 or fill out the contact form. Chris Robinson, the Officiant Guy, is a California nondenominational wedding minister. He has been performing weddings and delivering LA County confidential wedding licenses for over dozens of years. He could certainly be your wedding officiant for any type of wedding ceremony from a secular wedding ceremony to a non secular wedding ceremony with all sorts of inclusions from coin ceremonies to unity ceremonies.